Tandem's largest clipboard yet! 12" x 18" erasable surface with volleyball court display. 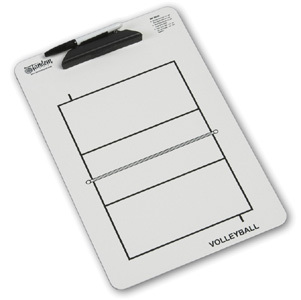 Imprinted on both sides, the Jumbo Clipboard comes with a dry erase pen/eraser that attaches to the clipboard.